A further great example of how the design of things needs to accommodate and respond to human behaviour. In this interesting article in The Times, well known design commentator Stephen Bayley charts the reverse in the use of one-way streets. In it he highlights how, in part, this is because "one-way systems are wrong because they are counterintuitive and seek to impose a spurious logic on human behaviour...". Often it is getting the small but critical details right in good design that makes the difference to whether users accept and take-up a new technology or product or don't. Take electric scooters as an example. This should be a really successful product - cheap to run, environmentally friendly, etc should enable the electric scooter to steal market share from its petrol brother. But so far it hasn't and why not? 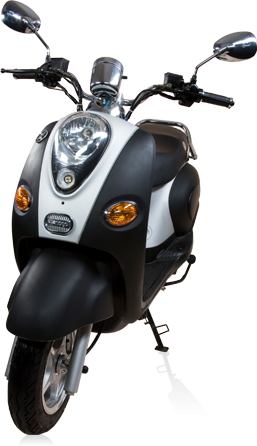 One major issue with most electric scooters is the charging of the battery - this requires access to a close socket and therefore probably a garage, or running a cable from inside the house. Neither of these work well for the main target market for scooter riders - the city dweller. For people in cities, they don't usually have a garage and the scooter lives in the street. So the electric scooter fails to meet a fundamental user need. However one new product seems to have overcome this - Econogo's Yogo scooter - how? By designing the battery to be removable so it can be taken inside to charge. How simple...how come no-one has done it before? Good user-centered design also brings other benefits - removing the battery gives the owner added security as the local joyriders will find it hard to nick with no power source. A simple yet clever design solution seems to have opened up the electric scooter market to a whole new group of potential scooter users. We're impressed...in fact our MD is booking his test drive next week. The importance of human factors within high risk environments such as rail, aviation and oil and gas is well documented. One of the main reasons for this is that the consequences of ignoring human factors in these types of environments could potentially be catastrophic and lead to large loss of life. It is therefore surprising that a high risk environment where there is less awareness of human factors is within the healthcare sector. Especially when some studies have concluded that more people die from medical error each year than in road accidents or individual forms of cancer. Applying human factors principles is key in aspects such as the design of medical equipment, design of labelling on medication packs, procedures and training for healthcare staff as well as addressing cultural/hierarchical difficulties which could impact on communication. The Clinical Human Factors Group (CHFG) is a charity which has brought together a group of experts and clinicians in an effort to increase awareness of human factors within healthcare environments. In addition, The Institute of Ergonomics and Human Factors has its own Healthcare Group and they are currently trying to raise the profile of this topic. One of the main problems currently seems to be acceptance that human factors has a role to play within this sector: this maybe due to a lack of understanding of the topic or because of the culture of the healthcare system. It is the goal of both of these groups to challenge and change this and to improve safety within healthcare. This amazing video gives some insight into the role of human factors in critical surgical environments and makes the point that these issues are well understood and accepted within aviation - why not in healthcare?